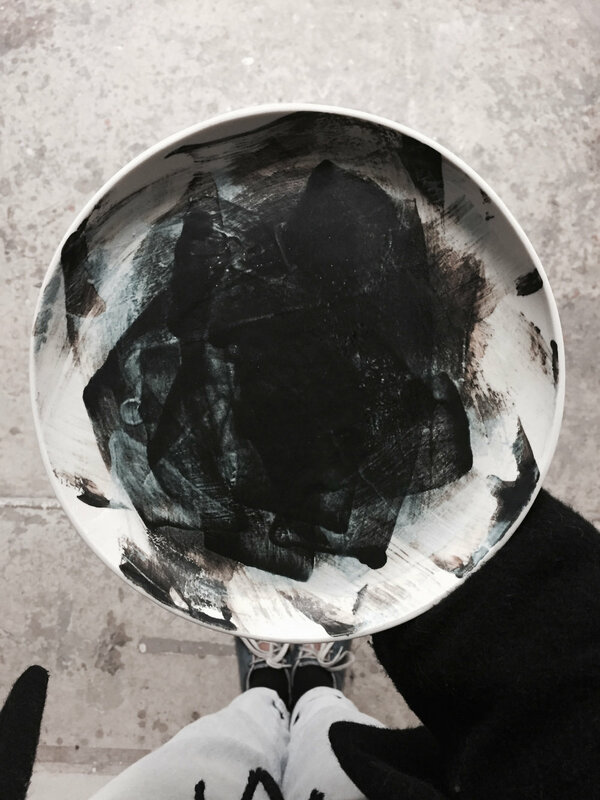 Grey plates and bowls with lively glazing on top. 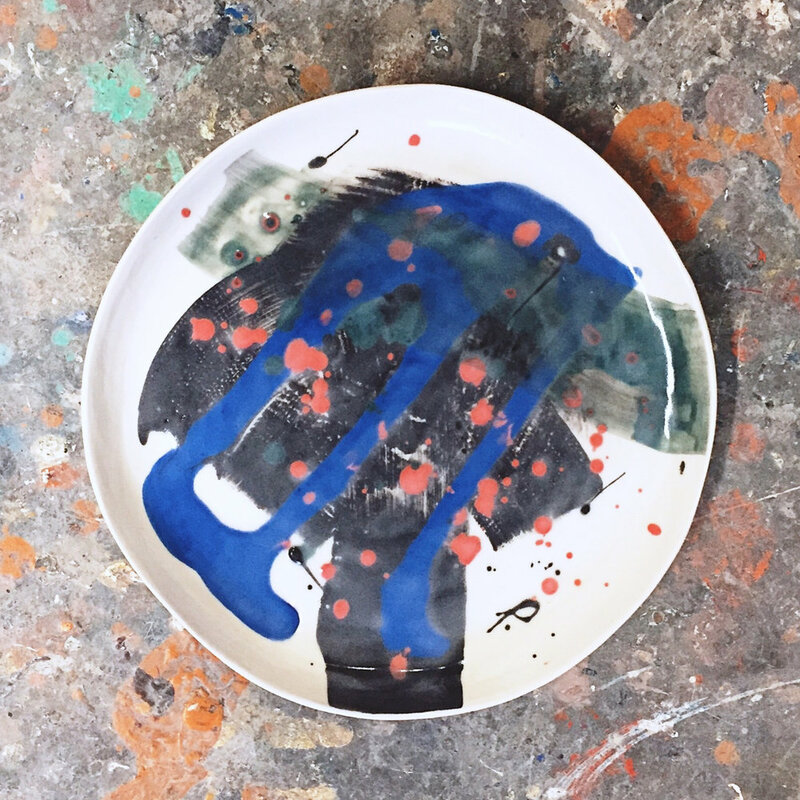 Custom-made plates for Restaurant Juuri by Eira -collaboration. “Hotel”, luxurious set of tableware for two. 3D printing utilized in the production. I make small-scale tableware only on order. I take orders from individual pieces up to larger sets of tableware. The price varies depending on the desired outcome and the size of the order (e.g. plates ∅200mm from 30€/piece). Please don’t hesitate to contact me directly for pricing and more information.